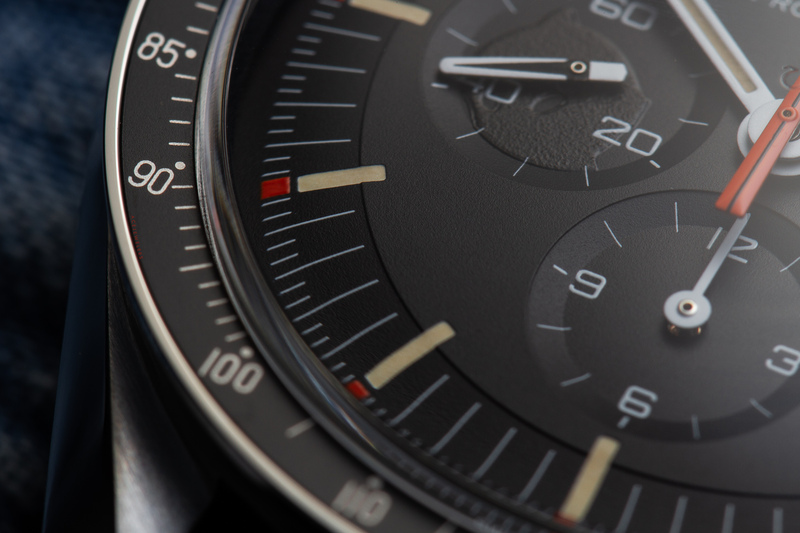 Here’s a quick & dirty close-up photo of the dial of the Omega Speedmaster Professional Ultraman 311.12.42.30.01.001. I’ll try to post a full pictorial as soon as possible. This entry was posted in Speedmaster Professional and tagged 311.12.42.30.01.001, SpeedyTuesday, Ultraman, ウルトラマン on August 17, 2018 by Dale Vito. Omega Speedmaster Professional Speedy Tuesday 2 Ultraman: What’s in the Box? 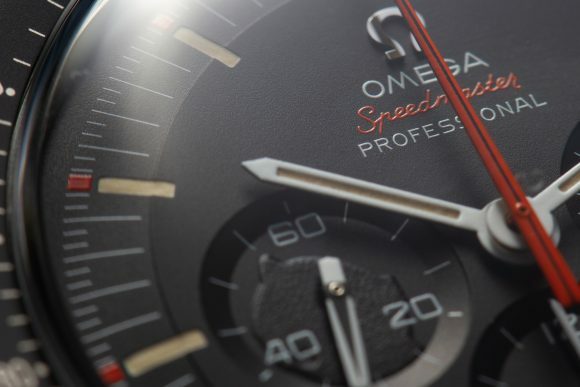 A few hours ago we were delivered the our first Omega Speedmaster Professional Speedy Tuesday 2 Ultraman – it’s such an honor that many of you chose to have them delivered at us! This gave us the chance to do another ‘What’s in the Box’ too – so here we go! This entry was posted in Speedmaster Professional and tagged 311.12.42.30.01.001, SpeedyTuesday, Ultraman, ウルトラマン on August 16, 2018 by Dale Vito. 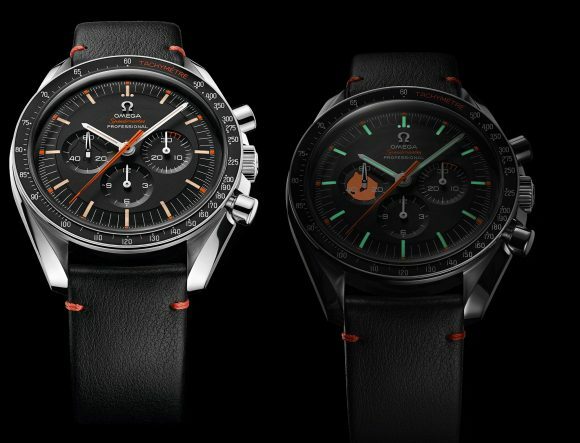 For the second time, the Swiss watchmaker OMEGA is offering online sales of a new #SpeedyTuesday timepiece via its @OMEGA Instagram channel. 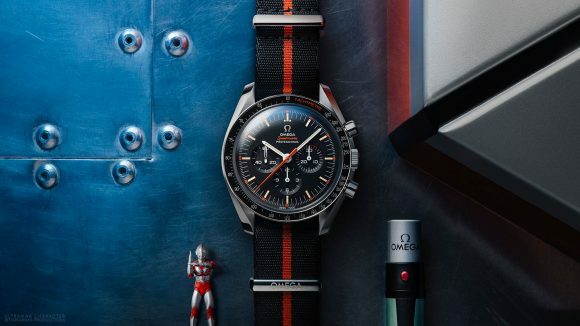 OMEGA’s Speedmaster Limited Edition 42 mm “Ultraman” is a tribute to the key character in the ULTRAMAN series, a collection of shows created by Tsuburaya Productions in Japan: one of the most famous examples of the Kaiju “giant monster” genre. 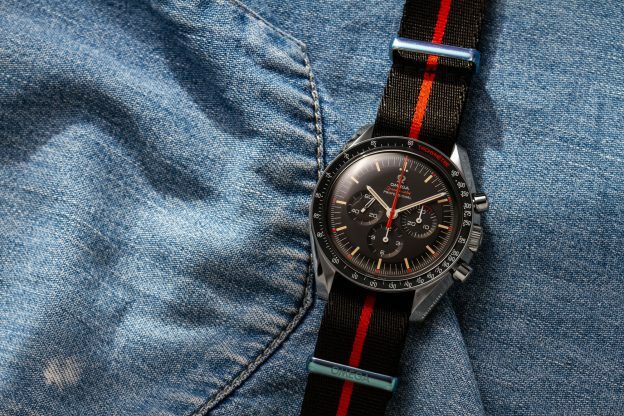 Though OMEGA’s new “Speedy Tuesday” certainly has a sense of fun, with its 70’s Japanese sci-fi references, the Speedmaster “Ultraman” boasts genuine space credentials, as it shares its DNA with OMEGA’s 1967 “Moonwatch”. A stand-out feature of that classic ’67chronograph was its distinctive orange seconds hand, which drew the attention of the production team behind the fourth instalment in the ULTRAMAN series: RETURN OF ULTRAMAN. 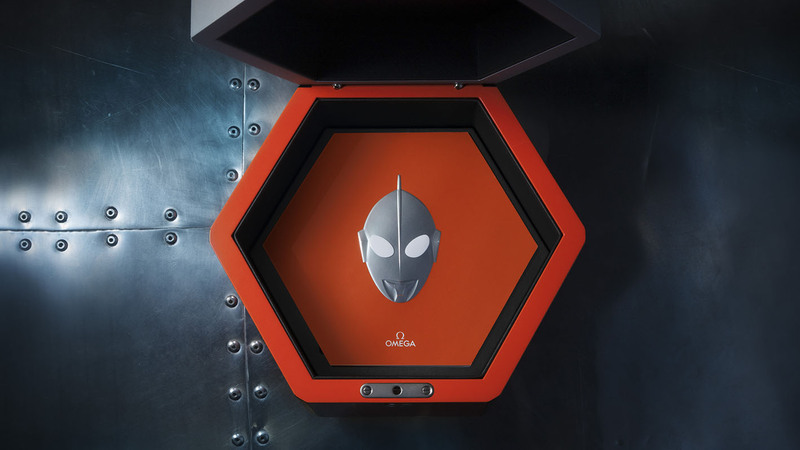 As the bold orange perfectly matched the suits of the heroic Monster Attack Team, OMEGA’s “Moonwatch” became an essential part of their beast-battling kit. On the new “Ultraman” the seconds hand draws its inspiration from the ’67 original, embracing the same dimensions and shade of orange. As an extension of this theme, the new watch also features a black/orange bezel in anodized aluminium. The classic Speedmaster subdials of the new “Speedy Tuesday” hold a few surprises. As Ultraman was only able to stay in superhero-mode for 3 minutes, the minute subdial at 3 o’clock features the first 3 minutes picked-out in orange. On the seconds subdial at 9 o’clock, there’s a hidden silhouette of Ultraman’s profile, which is revealed by a special tool available with the watch. The strap changer, identical to Ultraman’s Beta Capsule, features a UV lamp at one end, which when shined on the dial, reveals the image. A vintage OMEGA logo on the dial adds a retro touch and the caseback features an engraving of #SpeedyTuesday and the words QUALIFIED BY NASA FOR ALL MANNED SPACE MISSIONS. The watch is presented on a black and orange NATO strap and comes with a spare black leather strap. Limited to just 2,012 pieces, the OMEGA Speedmaster 42 mm “Ultraman” is a true collectable and is presented in its own hexagonal box: a tribute to the futuristic table used by Ultraman’s Monster Attack Team. This entry was posted in Speedmaster Professional and tagged 311.12.42.30.01.001, Ultraman, ウルトラマン on July 10, 2018 by Dale Vito. A few moments ago Omega presented the second version of the Speedmaster Professional Ultraman. 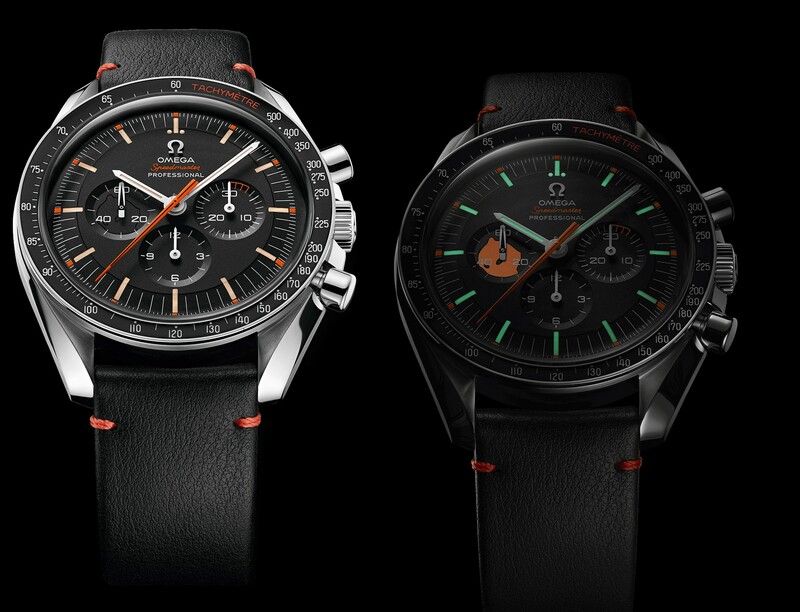 Inspired by the so-called Ultraman Speedmaster, an uncommon variation named after a Japanese television series, it features a striking orange second hand and various other unique features. This entry was posted in Editorial, Press Release and tagged 311.12.42.30.01.001, SpeedyTuesday, Ultraman, ウルトラマン on July 10, 2018 by Dale Vito.